In SEO, the biggest factors for search engine ranking are without a doubt content quality and inbound links. This is as per the Google Q&A, which lists these two alongside user experience design for SEO factors. Your content is totally within your control. You want talented writers, skilled editors, and a topic that interests your customers and gets plenty of shares and traffic. It’s different with links. Since Google Penguin, which is getting an update soon as per Link Research Tools, utilizing self-created links are the least effective. Outreach links, created by talking to bloggers or paying for listings, are more effective so long as they’re legitimate, an example of which is being listed for a local business award. They work to your advantage. The best links are natural editorial links, given to you by trusted news outlets. Thus, link building has become an important cornerstone in SEO. Through an affordable internet advertising company like SeoTuners, you’ll be able to get around today’s link building limitations. If you’re having trouble finding ways to get reputable websites to link to your website and get you the traffic and SERP you really need, then here are a couple of tips that’ll help you out. A golden tip is to scour the web for educational or informative websites that report or educate on your chosen business niche. You can do this through a little Google-fu, by seeking out websites that specifically end in .edu and looking up the “blog” keyword in them. Then, through a dead link checking resource, you can discover if any of the websites these sites link to have a dead link. A little email outreach and you can refer them to your website to replace the dead link, by acting as an independent third party. Local directories are an extremely easy way to get linked to online, but it’s still worth your while for the traffic. Free listings are best, but if a directory has particularly high traffic, then a paid listing may pay off for you. By hosting meet ups in your local area related to your business, you can create awareness about your brand and create a little buzz online about your company. Press releases are a great way to build links. If you have a particularly interesting piece of news – like winning a local business award – you can reach out to a local news outlet to help them cover the story. This may sound tricky, but it doesn’t have to be. As per Search Engine Land, local business awards aren’t always greatly televised. Look around, and you may be able to find a local guild looking for nominations. In the past, inbound links could come from almost anywhere, and they’d be registered as a significant factor in your website’s ability to rank. Inbound links existed as a ranking factor because they were a way for Google and other search engines to figure out that your website, being highly cited, must contain some valuable, interesting, and relevant information. Today, inbound links matter in a different way. They can’t come from just anywhere, and they can’t be bought, either. With the introduction of Google’s Penguin program, link buying and spamming are offenses that will be punished through penalization. Less than a year ago, Bloomberg revealed a new component in Google’s significantly large search algorithm. This new component, however, has something special about it that has not yet been seen in the rest of Google’s search engine system. It’s an AI. Yes, Google has begun incorporating artificial intelligence into its job of categorizing and ranking websites. While it’s interesting, the real question here is this: why does that matter, and why does it matter now? Before we tackle how RankBrain affects your company’s SEO and what you need to be aware of for future reference, it’s important to understand what it is and why it may be significant not just for the here and now, but for the future of search engines, search engine optimization, and marketing in general. RankBrain isn’t true AI. Rather, it’s based on what is called machine learning. Instead of being self-aware, RankBrain is written to learn from mistakes and get better at its ability to rank search results based on Google’s other existing algorithms and parameters. Although it had been in testing for quite some time, it’s only recently become a significant factor in search. Google first introduced it into their engine about a year ago, and have since then been increasing its influence. As per the Drum, it handled 15 percent of search queries last year. What’s more significant now, however, is that recently RankBrain has been involved in all of Google’s search queries, becoming the third-most important factor alongside inbound links and the quality of a website’s content. No one knows exactly, but as per Search Engine Land, there’s speculation that it exists to handle new and long tail searches. These long tail searches are searches that are exceedingly long, incorporating a number of different keywords and often requiring specific context to be understood. As Google has mentioned in the past, a significant amount of searches in a year – hundreds of millions – are entirely unique and never searched before. This presents a challenge to the search engine to come up with the best websites in a search result – and as a machine learning AI, RankBrain may be used to provide better results for such queries. It can be that when people input queries that are similar to other more popular queries in every way, RankBrain automatically switches them out. What that means is that businesses can potentially focus their efforts on tackling the most popular search queries out there instead of trying to spread their keyword influence over various similar keywords in order to capture a wider demographic. As always, SEO is changing. What does this mean for you? Well, in one way, you’ll want to focus more on long tail keywords and local SEO. Ranking for popular terms has just become a lot harder. The competition is extremely stiff, and paid search results dominate a large portion of the first page, especially in competitive industries like Forex. Now more than ever, reputation matters, as companies like SeoTuners can tell you. To get ahead, you’ll want the services of a professional and affordable SEO company. That doesn’t mean capturing other search engine demographics isn’t important, but even then, there are similarities across all search engines in the way that they work. In fact, as per SEO Book, Yahoo! Search is powered by Bing. Still, following and understanding Google updates is the biggest obstacle and basis of research for SEO professionals. Knowing how Google works is key to a good SEO service, and it’s no easy job. Google’s search algorithm has existed for years, but it’s only recently been named. As of 2013, the company’s 15th anniversary, Google’s algorithm according to Search Engine Land, is called Hummingbird. Within Hummingbird, however, the company has employed several different programs to optimize the way it works and categorizes websites. These are programs like Google Panda, Pigeon, PageRank, and Penguin. These programs or ingredients number in the hundreds. No one in the SEO world really knows how Google works a hundred percent of the time, but we do know enough to optimize websites. So the question is this: what are these programs, and how do they affect your company’s SEO? 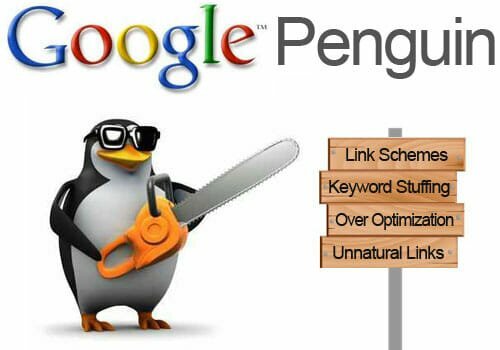 Google Penguin was first announced in 2012, and since then, it’s been assigned the job of crawling through websites and penalizing those that were buying links or utilizing other black hat methods to generate inbound links. To understand what Google Penguin does, you have to understand link building. Link building is the activity of building your website’s reputation and search engine rank through inbound links. Inbound links are links on other websites leading to your own website. In the past, just having inbound links was enough to generate a great rank on your website. Inbound links are used as a factor for search engine ranking for a simple reason: if people link to your website, it’s a sign that there’s something there that’s worthy of a read or visit. Basically, your inbound links are a sign of popularity, and quality. The problem, in this situation, is the way marketers and SEO specialists abused inbound links to artificially inflate their SEO rankings. Through private blog networks and rewritten content, websites could get quick, cheap, and often self-generated inbound links that helped boost their ranking for little legwork. Today, link building is a little more complex. You can’t buy inbound links, and inbound links from less reputable or unknown websites doesn’t account for much. In fact, these can even get you penalized. The holy grail these days is being mentioned in mainstream news media. Second to that, you have educational websites, like university blogs and article entries, which are also highly reputable. If you’re looking for affordable SEO solutions in Los Angeles and Ventura, you’ll need the services of a qualified local provider, like SeoTuners. While search engine specialists argue that website reputation doesn’t matter much, there is a little controversy in the issue. The point, however, is this: spamming links no longer works, and probably never will. Google’s algorithms are updated on a regular basis to weed out quick and easy ways to raise your company’s ranking, placing value on good content and organic ranking techniques. In a market where big names dominate, a lesser brand usually has no chance at all… not unless you’ve got stellar SEO skills to back yourself up. 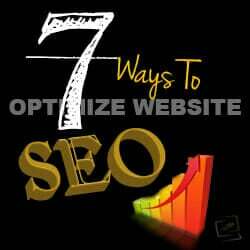 Search Engine Optimization helps you grab a share of the market, even against bigger players in the industry. It’s a tool that levels the playing field, allowing small to medium-sized companies share the sandbox with the big ones. If you’re trying to rank for the same keywords over and over, but results stay the same, it can be a simple matter of adjusting your keywords. Get ones that are much closer to your speciality, that is to say, find something more specific to your niche. You’ll have much less competition that way. Consider improving your on-page content by using primary and secondary keywords to support your focus keyword. You can use each phrase to designate a subsection. Be sure to factor in position, frequency and distance when you use keywords throughout your pages, says the Moz blog. That means they shouldn’t be too close together. Don’t overload the page with your keywords, and make every word you use in your page titles or headings count. Not every company starts off with a great SEO team, but you can hire one to help you out. 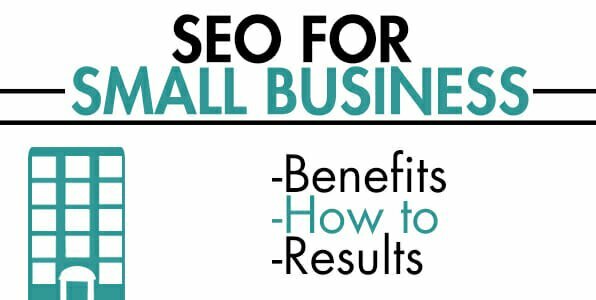 Plenty of firms offer SEO services in LA so it won’t be a problem to get the assistance you need to lower your bounce rate, get your pages to rank and boost traffic to your site. This has been a long-used tactic since Google Penguin wiped out most sites all over the world. Content farms and spam sites took the brunt of it, their page ranks dropping nearly 80 percent over night. It was enough to cause any self-respecting marketer to break out in a cold sweat. So if you’re still using spam-based tactics, end those now. Get rid of the duplicate content to get your Google standing to improve. Nobody likes dead ends and that’s what these errors are. Set up redirects wherever applicable so that you can provide your readers with a way out of those dead ends, says the Entrepreneur. The surge in mobile internet usage within the last few years has opened up a new and exciting channel for marketers. With many people using their mobiles to go online to surf pages or check reviews, there’s a need to make sure your site is as mobile-friendly as can be. If it isn’t, you’re going to lose customers before you can even start telling them about the good stuff. So embrace mobile now, says the CIO. You can use readable content in your URLs instead of numbers or random strings. You can use that page’s main keyword to leave a breadcrumb trail in your URL. There are plenty of ways you can improve your SEO strategy. Get an excellent head-start with these tips and you’ll be making your way up Google’s search results in no time. Your business doesn’t exist in a bubble. You need to be current on what the rest of your competition is doing. If you aren’t, you might miss out on a breakthrough innovation. What if they come up with a better way to service customers? If you aren’t looking, you would miss the chance to outdo your competition and improve your own business, says Business2community. If you pay too much attention to your competition, you might not be devoting enough time to your own optimization efforts. There’s always a better way to do things. Remember that fact when you think your search campaigns fail or if you feel like you don’t get the kind of results you want. Focus more on improving your strategies instead of wringing your hands and worrying about what your competition is doing, says the Search Engine Journal. If you don’t have a strong enough search engine optimization team, then it’s simple enough to hire one. If you’re looking for affordable SEO services in LA, get in touch with us. We’ll be happy to provide you with the quality and help you need to make your online marketing campaigns improve your bottom line. It’s all about organization. The more organized your pages are, the more readers you’ll attract. You might have too many images cluttering your page or your content may not be positioned in the right spot. What you can do to improve things is to start with a strong title. Make sure it leaves readers wanting to know more. First, though, make it enticing enough for them to click on the title so that they will read the rest of the article. Then, use subsections to divvy up the content. Blocks of content aren’t the easiest thing in the world to read and could make your customers skedaddle instead of staying put for the next word, much less the next paragraph. It might be as simple as choosing another set of keywords. Try changing your keywords and give the change enough time to yield results. Going for different keywords, ones that are closer to your niche but have a lot less competition, can be the key to improving your traffic. Also, make sure never to overload your pages with too many keywords. Space them apart in an article. Don’t lump them together all in one place. So go ahead and get your optimization game back on. We’ll help you find a better way to do it.